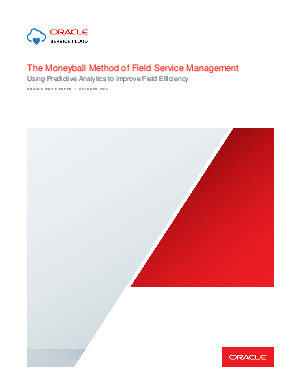 In the early 2000s, two vastly different businesses—baseball and field service management—began to use advanced statistical analysis to gain an advantage over their competitors. They both revolutionized their respective fields by using statistical knowledge to improve performance. The new approach replaced old models and methods and attained shockingly good results as both set new standards for their respective industries. In this white paper, you will learn the general concepts behind predictive analytics and how they can be applied to a field service organization. The paper will cover the basic metrics that should be tracked, the use of performance pattern profiles, and how these principles can predict future events.